I am told that Mustapha Marrouchi is highly thought of among those who like a bit of theory. 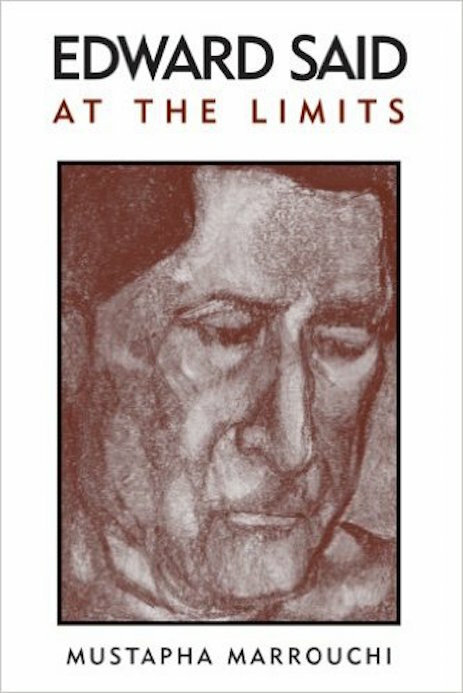 Marrouchi is Algerian and he writes about Edward Said and postcolonial theory. As the tag says to a recent article of his (about Paris, see below), 'An internationally renowned literary and cultural critic, Mustapha Marrouchi lives on borderline between the West and Rest. He is the author of half-a-dozen books, including The Fabric of Subcultures'. He has been invited to speak at the Durrell School in Corfu where, I gather, he made a great impression. So what is there not to like? Not that it should matter in the world of postcolonial theory and relative values but it also turns out that Marrouchi, recently fired from his position as a professor of English literature at an American university, is a plagiariser on a grand, indeed an imperialist, scale. Twenty-three of twenty-six works turn out to be based on material stolen from other writers, including John Updike, Salman Rushdie and Edward Said (yes, he not only writes about Said but he steals from Said what he writes). Has he stolen from Lawrence Durrell? I wish somebody would say. What I find especially endearing is that he would barely change a word except to convert British spelling to American. As the Las Vegas Review Journal reports, 'The investigation revealed Marrouchi primarily stole from works published in the London Review of Books and would often change just a few words, specifically words with British spellings to American spellings'. Retraction Watch reports that 'Perhaps most eyebrow-raisingly, Marrouchi plagiarized whole passages from Salman Rushdie’s London Review of Books essay “Imaginary Homelands” in an essay he then sold as a memoir of his own childhood'. Who needs a childhood when you can steal it from Salman Rushdie? The Chronicle of Higher Education gives a sampling of some of Marrouchi's finest moments. And The Cabinet of Plagiarism makes the point that Marrouchi has been doing this for decades and nobody noticed. Except occasionally the person who was being plagiarised. Which suggests, says The Cabinet of Plagiarism, that nobody ever reads postmodernist drivel anyway. But Marrouchi is far from finished. In January this year, after the Charlie Hebdo killings in Paris, Marrouchi wrote an article (in this case the words ring true of the man) saying that murdering people in Paris is what you would expect in a country which allows, for the sake of freedom of speech, cartoons to be drawn of the Prophet Muhammed. 'What else did these cartoonists expect? When you attack the last rampart, the terminus, the citadel of a religion that struggles on a daily basis to shield itself from all sorts of invasions coming from the West: Nike, CNN, BBC, Microsoft, Twitter, Facebook, you must take responsibility for your actions.' There you have it! Twitter and the BBC and the blood flows on the streets of Paris as it did last January and Mustapha Marrouchi wants us to understand that 130 more dead just the other day is the consequence of the intolerable assault of Nike and Facebook on Islam. The problem began, says Marrouchi, back in 1987. 'Here, one particular culprit comes to mind, someone who opened the Pandora Box for many to follow. That person is Salman Rushdie. Muslims have never had a break ever since The Satanic Verses came out in 1987. Oddly enough, I have a copy signed by Monsieur Rushdie himself. The team of cartoonists who were killed in Paris were marching in the footsteps of Rushdie, Hirsi Ali, Anne Coulter, Niall Ferguson and Co. Their main objective is to insult in the most hideous way Muslims and what they hold dear, very dear.' That is the very same Salman Rushdie whose childhood memoir of India was thieved by Mustapha Marrouchi and transposed to Algeria. A hideous blasphemer but good enough to steal from. And so it goes with theory. As for the practice I gather that the Durrell people in Corfu still stand four square behind Mustapha Marrouchi (even while misspelling his name as Marouchi). Or maybe they have not read the newspapers for a year or so. And maybe they do not read Marrouchi's books either but just repeat his plagiarised theories. For more of this, see here. Ὑπὸ τὴν σὴν εὐσπλαγχνίαν or in Latin Sub tuum præsidium is one of the oldest Christian hymns, certainly the oldest to Mary the mother of Jesus. It was found in Egypt in Greek on a papyrus dating to about AD 250. 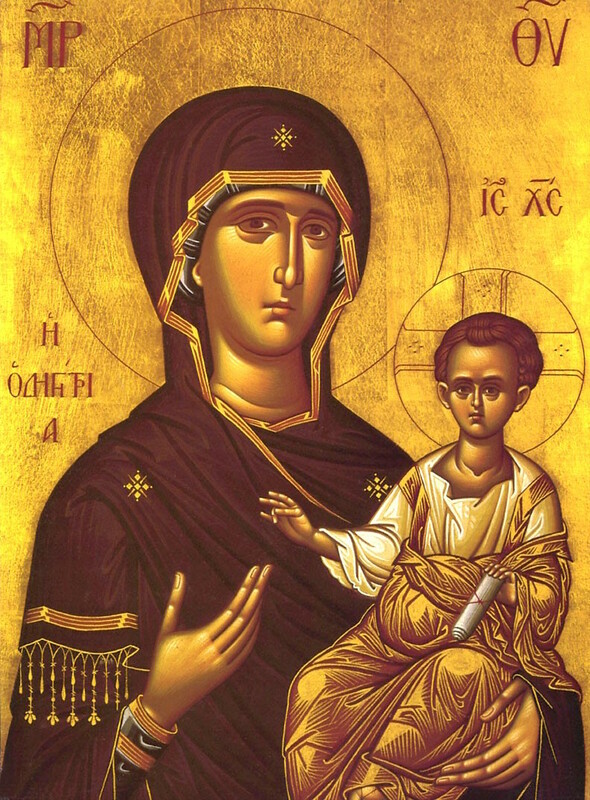 The hymn was used in a Christmas liturgy and is still used in various revised forms and languages in the Coptic, Eastern Orthodox and Catholic Churches and it has been beautifully rendered as Byzantine and Gregorian chants and as Mozart’s K198 Offertorio.